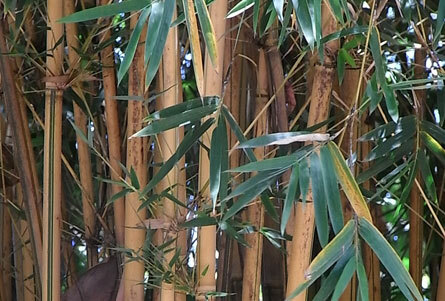 Given its reputation, you might wonder why you'd ever choose a running bamboo. 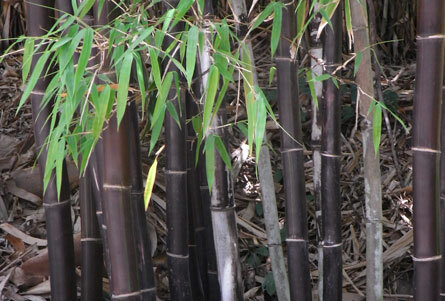 Those invasive bamboos with long, spreading underground shoots - or rhizomes - are all running bamboos. Clumping bamboos on the other hand are more tame. Each stem - or culm - emerges from a bud at the base of the parent stem; steadily building an impressive and compact clump for a feature planting. 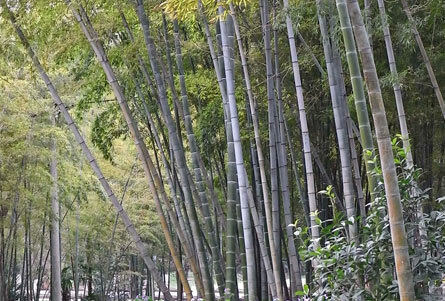 But many of the bamboos suited to cooler climates are the runners. And when it comes to growing a very upright screen or hedge - especially in narrow spaces - the running bamboos are often a more practical choice - but only after committing to some precautions: confining them to pots or self-contained planter boxes above ground only. 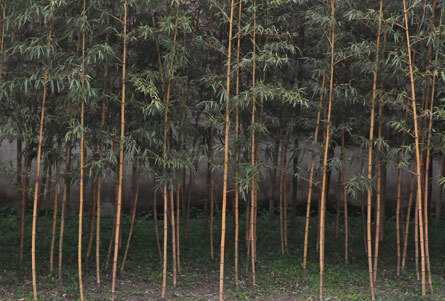 Clumping bamboo can be contained in the ground with root barriers. Flexible sheeting made from high-density polyethylene - or HDPE - can be installed about 90cm deep around whatever area you choose. It's best angled outward from the bottom to help direct those rhizomes to the surface. Though effectively inhibiting spread, the barrier won't prevent escape forever. The sealed off area is effectively a pot that will become crowded and pressured for resources. Which is where - as ever in the garden - maintenance and vigilance can take over. Much easier than hauling in a runaway is a regular patrol of the boundaries. Snap off any shoots that appear where they're not wanted while they're still young. Get them at the right time and you can use them in a stir-fry - though some species first need soaking to leach toxins. In late winter-early spring, trim off any untidy bits and prune culms down to the desired height for a more formal look in tropical, contemporary or oriental style gardens - but leaving any that haven't yet branched. Alternatively, show-off the attractive canes and create an aerial hedge by clearing all the lower foliage to about eye-level.